*** I like the seamless surface, so in this tutorial, I take this method. You just have to keep going, but it may be difficult to see where you started the row. So, it’s better to use a safety pin at the first stitch of each row. You may adjust the size here. Cut the yarn long (around 10″) for sewing purpose. 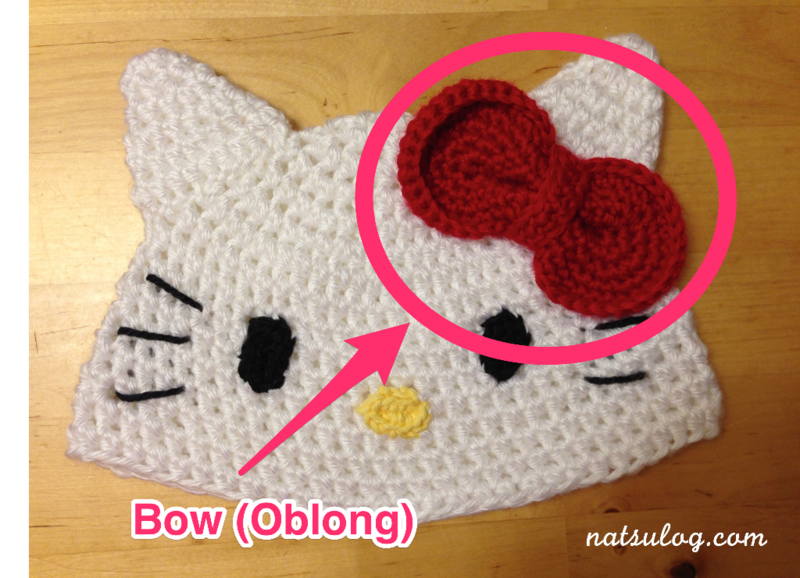 You will make two of these ears and sew on the face with the yarn you left. Row 2 : Sc in the 2nd stitch from the hook. 1sc, 3sc, then 1sc in the following 2 stitch. Finish with slip stitch at the 1st stitch of the row. Cut the yarn long (around 5″) for sewing purpose. 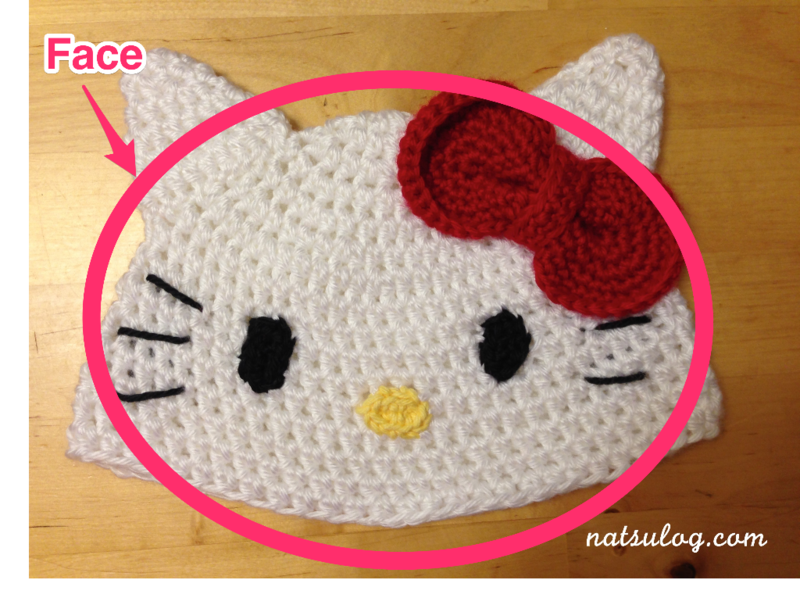 You will make two of these eyes and sew on the face vertically. 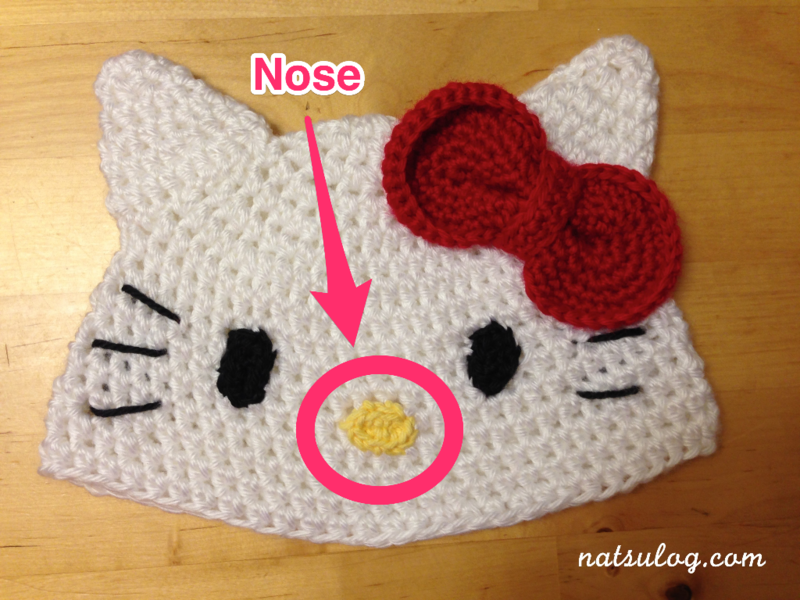 You will sew the nose on the face horizontally. 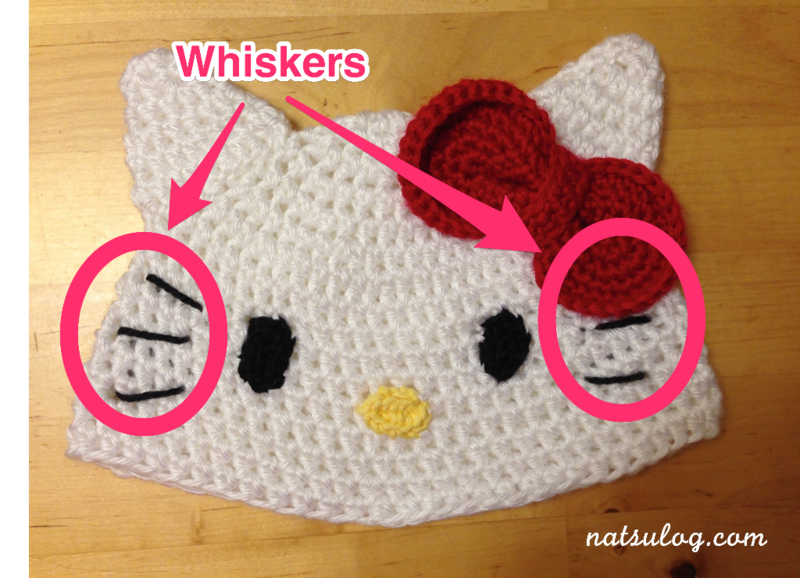 Embroider whiskers with a yarn needle just as you like. You can adjust the length and angles of them, which will make a difference of the expression of the Kitty. *I posted a tutorial on making a bow in the other article. I introduced very much in detail with step-by-step photos. So, please check the instruction. Here is the title of the article: Here Summer Comes!! Ponytail With A Pretty Bow?? 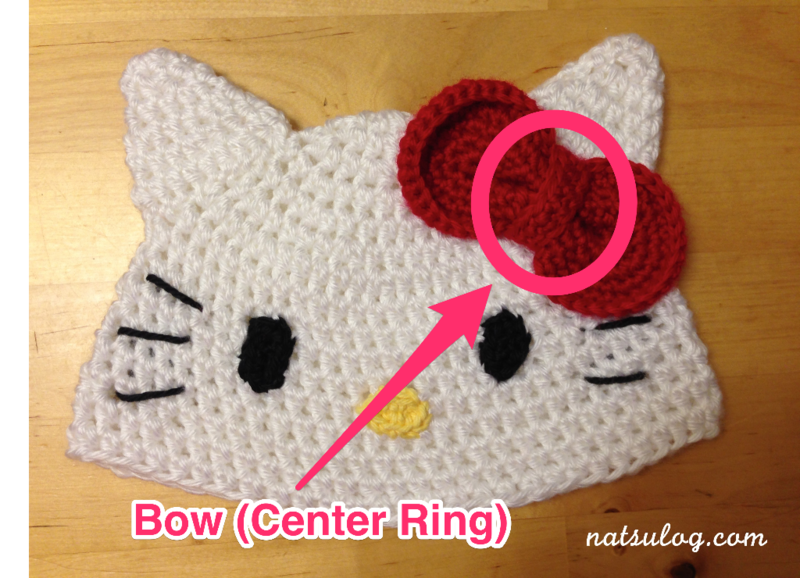 Insert the oblong into the center ring and sew not to move around. Then, sew it onto the right side of the ear (from your view point). Now it’s done!!! 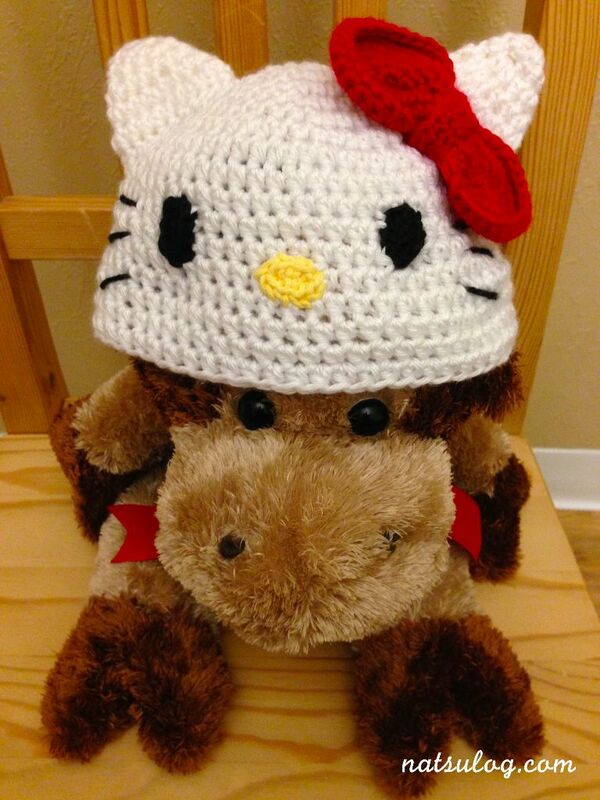 I hope you liked how I made Hello Kitty!! 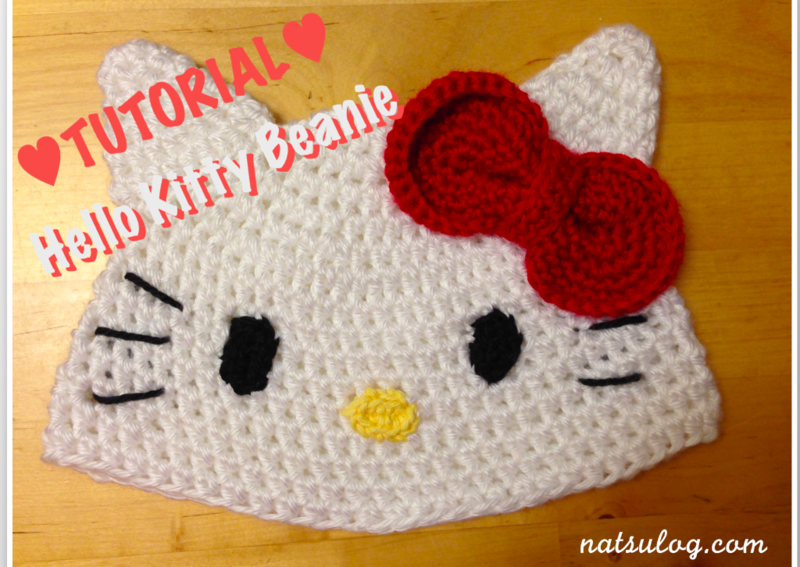 Thank you for the good tutorial for Hello Kitty Beanie. It was easy to follow your instructions. Please think the first 3 chains as a foundation chain. After making 1 sc in the second chain from hook, you’ll make 1 sc in the next st. Then, make 3 sc in the following st, which is the end of the foundation chain. Then, you’ll keep working and make 1 sc in the next two sts, which is the backside of the foundation chain. Hope you get it with this instruction now.